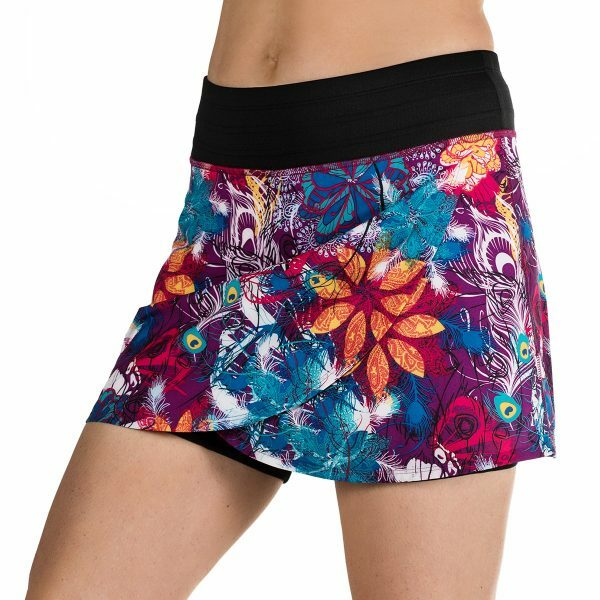 Lightweight and stealthy, the Hover Skirt will elevate you from the crowd. No one will even know you’re coming! Beautiful yet simple front overlay design allows for easy movement while built-in relaxed-fit 5 1/4” shorties provide extra coverage. Barely-there silicone grippers keep shorts in place; barely-there continuous drawcord keeps skirt in place! High rise waistband can be pulled up or worn lower – you choose your level of comfort and support. Two pockets round out this style, perfect for the active woman who prefers shorter styling without compromising any benefits.